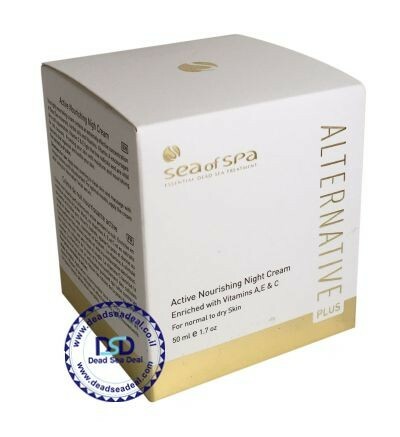 Dead Sea Products - Perfect Night Cream renews skin texture and erases signs of fatigue. 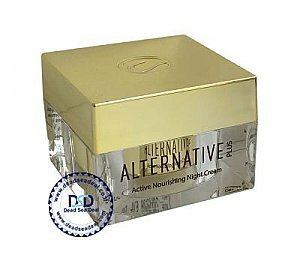 Dead Sea Products - Perfect Night Cream renews skin texture and erases signs of fatigue. The cream has a pleasant light texture. Already after the first application you will feel the results - your skin will be soft and elastic. Vitamins E and A young, olive oil, wheat germ extract is a powerful anti-aging complex that stimulates collagen production and skin rejuvenation. The micro capsules with vitamin F to help cell renewal during the night. It smoothes wrinkles, reduces their intensity. Strengthens facial contours, improves the smoothness, elasticity of the skin. The skin looks fresh, silky and well-groomed. After the first weeks of use you will feel the result. It contains sunscreens.